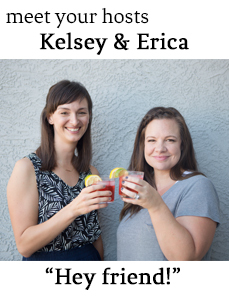 We're chatting about the intersection of social media and real life/relationships while sipping on an icy cocktail because it's hottttt! Jenna Kutcher had some great thoughts on this episode of her Goal Digger Podcast. Erica's walls are painted Gray Owl and 50% strength and Kelsey's are full strength Gray Owl. Erica had the back of her doors painted Peppercorn and Kelsey's are Kendal Charcoal.